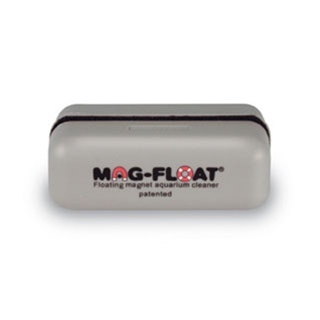 The Mag Float Medium Glass Aquarium Cleaner, Float-125, is recommend to be used on glass aquariums up to 125 gallons with a surface thickness up to 3/8”. The Mag-Float floats when the inner magnet separates from the outer magnet. Because you never have to reach into the aquarium, not only can you stay clean and dry, but you also avoid toxic lotions or soap residue on your skin from getting into your aquarium water. Can be used on freshwater and saltwater tank. Magnet does not lose strength over time.